Volkswagen has unveiled this year's Super Bowl TV spot that it will run during Sunday's big game in the US. The 60-second ad, created by Deutsch LA, features an office worker who brightens up his dreary office with a positive attitude, which he expresses using an inexplicable Caribbean accent. His attitude then starts to catch on around the office, with even his boss adopting the accent. The spot, "get in. get happy", will air in the second quarter of the Super Bowl in New Orleans on 3 February. Last year, VW revealed its ad, "the bark side", featuring 11 dogs barking 'The Imperial March' from ‘Star Wars’, as a teaser before the Super Bowl. The ad was one of the most popular Super Bowl ads of 2012 and racked up more than 23 million views on YouTube and 15,944 shares in 24 hours. 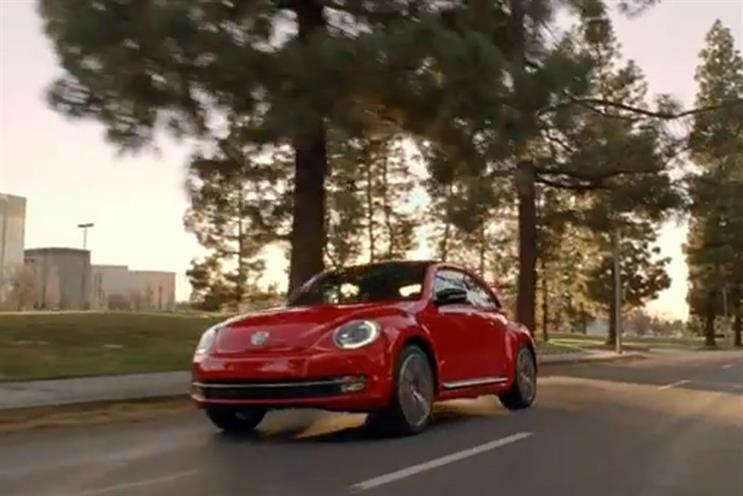 VW has consistently produced popular Super Bowl ads in recent years. In 2011, the car brand was behind one of the most-shared ads on the year with its Super Bowl ad, "the force", featuring a mini Darth Vader. Tim Mahoney, chief product and marketing officer at VW, said: "The Big Game presents an unparalleled creative opportunity to represent the Volkswagen brand. We’re excited to reveal this year’s campaign, which is designed to bring a jolt of happiness to viewers’ daily lives."